Thank you so so much for all of your entries in to my bloggiversary giveaway. I had over 100 entries, which was really exciting! Anyway, the winner is @ceri.luna over on instagram. She wins 2 metres of Cotton Lawn from Sew Me Sunshine and pin badge from Pink Coat Club! Now, this week’s blog post! Moving house has meant that I’ve had a bit of a Sewing stash cull. I’ve done quite a bit of clearing out and been quite firm with myself about what I will realistically make. It has made me be quite specific in my planning and I’m quite enjoying it. Today’s make is Mccalls 7314, made with red and black checked brushed cotton, which was a bed sheet I bought from a charity shop (still in it’s packaging) and I knew I wanted a shirt dress straight away. It just looked so autumnal. The pattern has caught my eye quite a few times and although there’s quite a few indie companies with lovely shirt dresses, the fact that this was made for differing cup sizes did it for me. I could picture the kind of dress that I wanted and this was perfect. I toiled the dress in a viscose and found that the darts and waistline sat way too high for me, so I have lengthened the bodice by about 3 inches. I made view D with the quarter length sleeves and cuffs. I included the pockets but made no other changes. It has a full collar and a really gathered skirt but quite a relaxed fit. I’m really enjoying making some more complicated garments. I feel perfecting the collar and collar stand of shirts and shirt dresses is definitely a skill I need to keep working on. I have a few more shirt dresses in mind too as they are perfect for work. I wore this to a Spice Girls exhibition in Manchester with my sister. I broke my personal fashion rule number 1 – “You should not wear tights if there is an R in the month” but it’s cold in England suddenly and this Autumnal dress definitely called for tights. 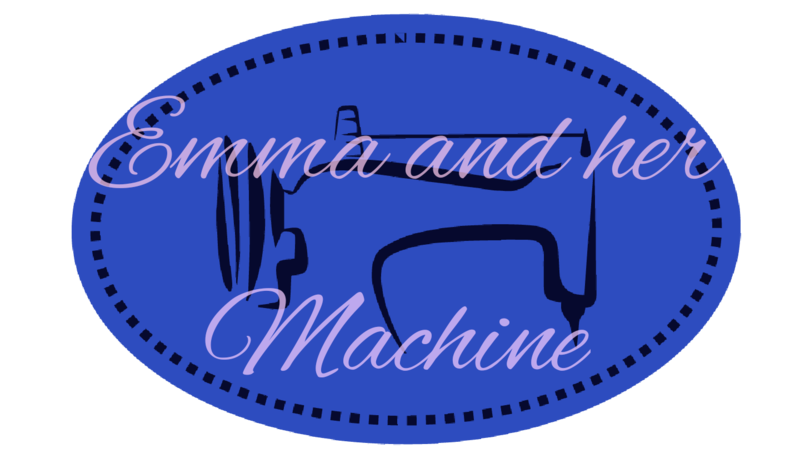 Next week’s post is my Sewing the Scene entry, so look out for that! Day 2- I wore my much worn Cotton and Chalk Rosie Dress. This was my first make in Ponte Roma and it has really stood the test if time. Day 3 – Having felt a bit sluggish this week I decided to brighten myself up a little so I wore a green RTW t-shirt with a self-drafted skirt. The fabric is a vintage buy from my favourite shop up in Northumberland. Day 4 – This is where Me Made May has stepped my game up a little and made me dive in my wardrobe. The is the Rebecca Page Arabella Skirt skit which I made last year and i have to admit, I haven’t worn it since. I love this retro tapes fabric from Flamingo fabrics and I really don’t know why I haven’t worn it much. Teamed with a RTW white blouse it was perfect for work and added a bit of colour to my day. This one is definitely being brought to the front of the wardrobe now! I then wore my Joni dress out for tea for my brother’s girlfriend’s birthday meal. I absolutely love this dress!! Day 6- my husband and I had a drive out and I wore my super comfy Peak T-shirt which I made from Wendy Ward’s book Sewing with Knitted Fabrics for Minerva Crafts. Day 7 – today I thought outside the box and wore my Style Arc Italia Shirt Dress which I made for Sew Me Sunshine, tucked in to a plan black self-drafted circle skirt. I am still very much in need of blouses for work. I wear too much blue! It’s going well so far and I’m posting daily over on Instagram. I did Me Made May last year and was surprised how much I actually managed to wear me made garments. I loved how much it helped me to think. However, I’ve learnt so much in a year and many of those garments are just not the same quality as I produce now. So… If I pull it out and pull a face, it’s either being donated, being mended or going in the fabric bin. I’m hoping it’ll help me to re-assess and get a bit more clarity in my wardrobe. So, let’s have a look. Day 1. I wore my Sew Over It Ella Blouse in a chiffon which I bought from my local market. The was the second time I made the blouse and I hacked it to use ribbons instead of the ties. The facing on my first one (see here) never quite sat right and it is a little tight on my arms so that is being removed from the wardrobe! This one is staying though! Day 2. I wore my Paisley Moneta, anyone who knows me, knows I love a good Moneta and this one, which I ran together before my holiday last year. I always get lots of compliments when I wear it. Day 3- After being suitably inspired and having found I was slightly ahead with my uni work, I ran together another Moneta, this time in this beautiful fabric of my name (Emma brushed Jersey) from Sew Me Sunshine. I added pockets and lengthened it. I also attempted to add a collar to find I hated it and I unpicked it! Day 4- I am determined that it will be sunny so I wore my Frankendress which I made last year by hacking New Look 6483 t-shirt and the skirt from 6723. I widened the sleeves and pleated the skirt. I wear this a lot. Day 5- I wore my new Sew Over It Ultimate Trousers. They are perfect weekend wear and perfect for English summers, which never quite justify shorts for me! I wore these with a RTW t-shirt, something I seriously need to fix, as I discussed in my last Sewcialists post. Day 6- I wore my Sew Over It Florence Dress which I made last year for breakfast with my hubby. It’s such a cool and super easy style to wear. Day 7- hooray for sunny Bank Holiday weekends! I wore my Vanessa Pouzet Wanted Tee (which I have previously made a tutorial for if anyone needs a hand with that neckline!) This one I Refashioned out of a men’s polo t-shirt. I paired this (as I usually do) with my Sew This Pattern Velo Cullotes in peachskin from Sewisfaction. This outfit won a prize during last year’s Indie pattern month and I love it! Thoughts for this week are that, I aparantly like Sew Over It patterns more than I realised and my summer wardrobe is looking a lot healthier than I thought! I need to work on getting some camis made, as I’m my desperation to cover my arms, I’ve been left a little hot at times this week! For my most recent make, I was definitely thinking spring. I love organising what I am going to wear and when the season has already changed in your head, what could be better than making clothes which suit it. I chose this beautiful Dalbury Cotton Lawn for my make and wanted to make a floaty feminine dress to suit it. With this is mind, I chose the Sew Over It Doris Dress as it has a real feminine feel with skirt panels which add fullness at the skirt. For more details on my dress please visit Sew Me Sunshine where the beautiful Ella has also written an amazing post. I’m really happy with this super pretty dress. The fabric is a summery, floaty dream and I can’t wait for the sun to come out to wear it more! This review in more detail was originally written for the Sew Me Sunshine blog, where Harriet at SMS gifted me this beautiful Cotton Lawn fabric to write about a sewing project and includes my own opinions about the pattern and fabric combination I chose. The caps above should say it all but I am so proud of myself! I finally made trousers! Thank you to everyone who’s voted for them in my April challenge because it pushed me to finally get round to them and I am so so glad that I did. I’ve had the Sew Over It Ultimate Trousers for a while now and kept avoiding making them… What a mistake. They come together so so easily, there’s only 4 pieces and because there is a side zip there’s no tricky fastenings to worry about. They’re absolutely perfect for a beginner trouser maker like me! Whilst I’m really not very excited at all by any of the more recent patterns from Sew Over It (I feel they are a lot of the same thing) you can’t go wrong with their classics and their directions, the construction is always seamless. Anyway, I chose this beautiful gingham stretch cotton from Sew Me Sunshine and it’s a perfect fabric for these trousers. Like so many Sew Me Sunshine fabrics, it’s vibrant, cool and original. The better I’m getting at sewing the fussier I’m getting about my pattern matching but I’m glad the squares on this fabric were small enough for that not to matter because I don’t think I could pattern match and master trousers at the same time. I paid attention to the grain-line but otherwise I didn’t worry too much about matching the pattern. These trousers are definitely a winner for me and I can’t wait to make more. They are a super fast staple and I’m going to try them in a block colour next. Has anyone else tried the Ultimate Trousers?